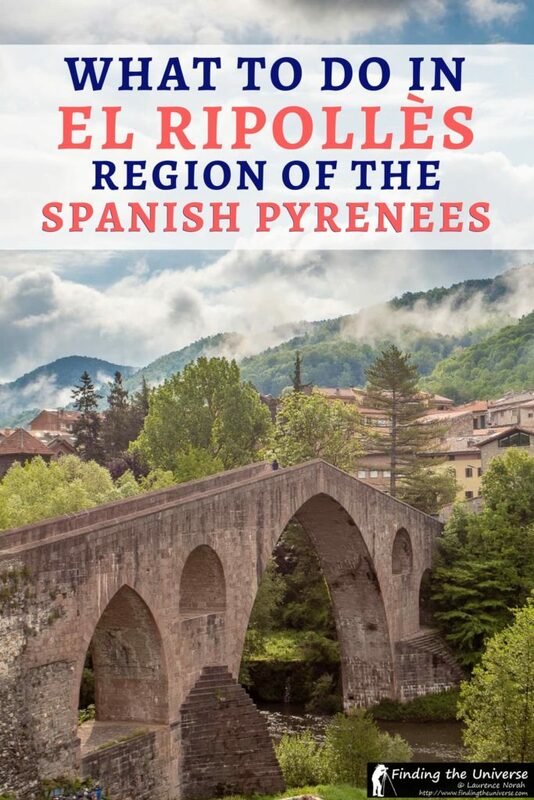 In today’s post we’re going to be talking about what to do in El Ripollès, a region of Catalonia in Spain found in the gorgeous Pyrenees mountains. It’s also often referred to just as Ripollès. Whilst the province of Girona is well known to visitors for its Costa Brava coastline, which offers beaches and coastal activities, the visitor who heads a little inland will find themselves rewarded for their efforts with medieval towns, spectacular mountain scenery, a wide range of cultural attractions and a variety of active holiday options. It’s just a short drive from both Barcelona and Girona to this mountainous region. We started our series to help you explore this part of the Spanish Pyrenees with a guide to what to do in La Cerdanya. El Ripollès is the next region along, sitting to the east of La Cerdanya, in Catalonia. You’ll find this area in northeastern Spain not far from France. 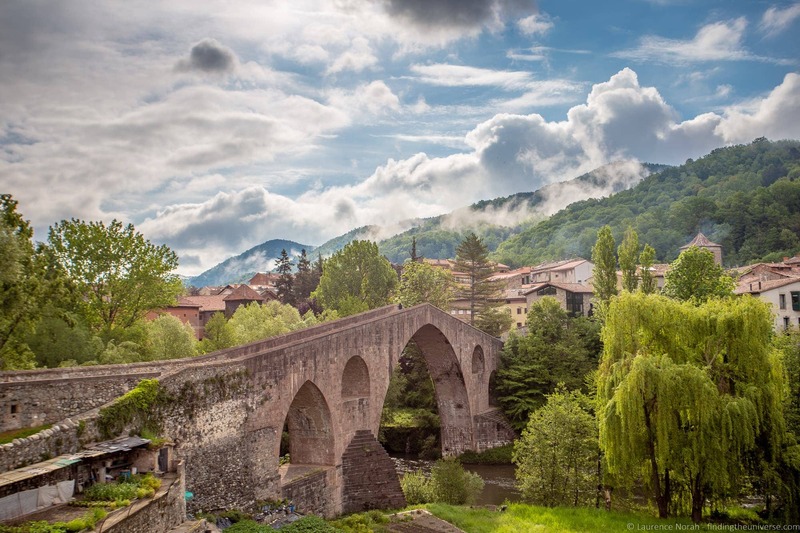 We’ve also written a guide to the third region, La Garrotxa, plus you can also read a general overview to this whole region in our guide to visiting the Spanish Pyrenees. Between these posts you should be able to put together a comprehensive plan for visiting the area! Now, let’s get started with our guide to visiting El Ripollès, starting with an overview of what to do in this region. As you’re about to see, there’s a lot to do in El Ripollès, more than enough to occupy a few days. 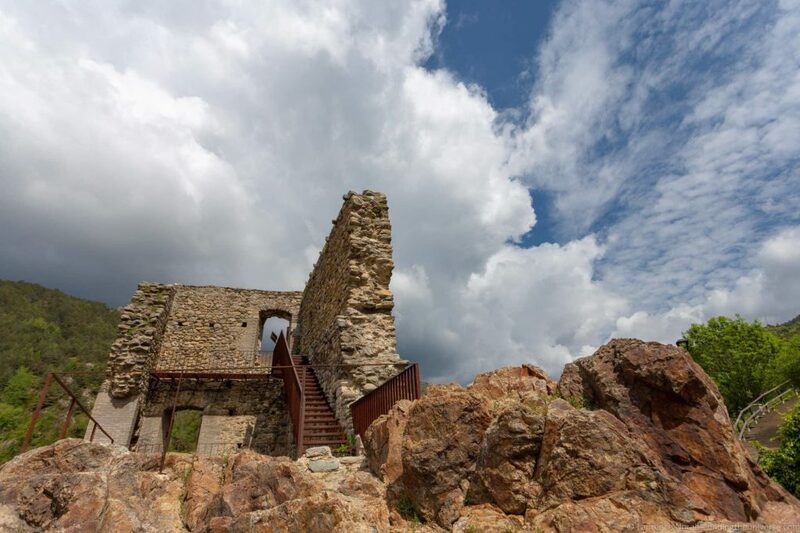 You can go hiking or skiing, explore Romanesque churches, experience unique local festivals, learn about the history and the culture, and soak in the spectacular scenery. With so much on offer, we definitely recommend basing yourself in the region for a few days if you have the time. See our accommodation recommendations towards the end of the post for some ideas of where to stay. One of the definite highlights of the region is the Monastery of Santa Maria, found in the town of Ripoll, the capital of the Ripollès region. This monastery dates from 888, and as with many of the churches and other buildings in the area, it was built in the Romanesque style. This was an architectural style popular in medieval Europe up until around the 12th century, when it started to be replaced by the Gothic style. Whilst the majority of the monastery as it exists today dates from the 19th century, following a fire which damaged much of the building, the entry portal is largely original, and it today regarded as one of the most important pieces of surviving Romanesque sculpture, and seeing this artwork is the reason that most visitors come. Of course, there is a lot more to see than the impressive portal, with cloisters, the church interior and an impressive mosaic floor just some of the highlights. There is also a museum / exhibition here. There’s a fee to visit, and there’s also a portable video / audio guide device on offer to help make your visit more informative. 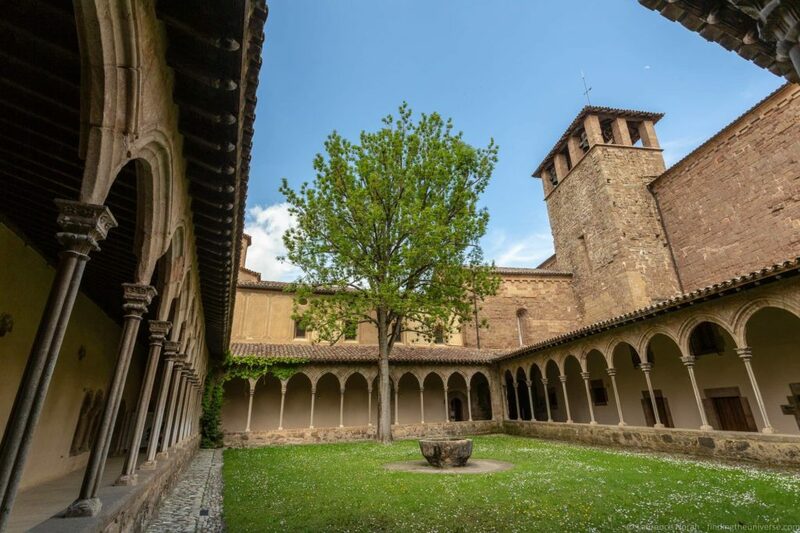 If you’re interest in the history and culture of the region has been piqued by talk of monasteries dating from the 9th century, you are definitely going to want to head over to the Ethnographic Museum in Ripoll. This is just across the square from the monastery, and we recommend visiting them together. The Ethnographic Museum of Ripoll was the first Catalan museum dedicated to ethnography, or the study of people and cultures. Originally this museum was actually housed in the attic of the Monastery of Santa Maria, however an ever-growing collection required a larger storage space, and in 2011 the museum opened its doors in its new location. Inside you can go on a journey through the history of the region and its people, learning about cultures and customs through the ages. It’s an absolutely fascinating place, well worth the visit. As well as the museum, there is also the Scriptorium, an interactive exhibition where you can learn about the medieval manuscripts created by the monastery. You can also try your hand at creating your own manuscript! The Scriptorium has limited hours, please check hours ahead of time if you want to visit on the official website. Just a few miles from Ripoll is the town of St. Joan de les Abadesses. This town was founded by Wilfred the Hairy in 887 – the same chap who founded the Monastery in Ripoll, and who played a key role in the creation of the Catalan cultural identity. The town started as a monastery, the Monastery of Sant Joan de les Abadesses, and was originally created as a female monastery – the only one in the area. This monastery still stands, although has been restored and added to over the years, and it makes for a good starting point for a visit to the town. 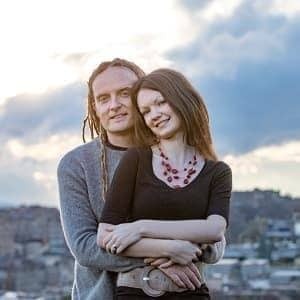 As well as a tour of the monasteries Romanesque church, which is home to a number of important sculptures and artworks, you can walk the cloisters, which are in a Gothic style. Next door there is also a palace, which serves as both the towns visitor center and also an art/ museum with various exhibits. As well as the monastery the town has a number of other interesting features, including a beautiful stone bridge, remains of the town wall, and what is left of the church of Sant Joanipal, which consists of a Romanesque apse and portico. 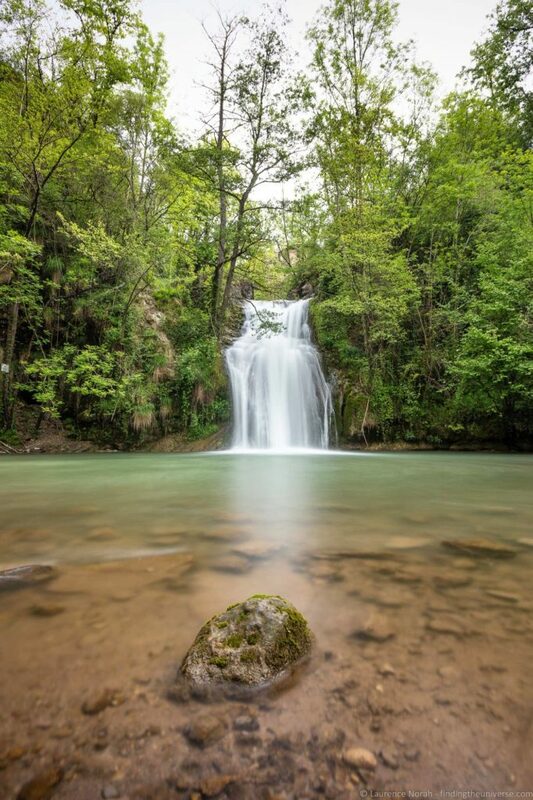 Just a little way outside of town, if you want a short hike, is the Gorg de la Malatosca, home to a beautiful waterfall that is well worth the effort to get down to (it’s about a 20 minute walk from the town center). The spectacular Vall de Núria is also found within the El Ripollès region. This has long been a place of pilgrimage, but is also a wonderful spot for skiing, hiking, and other outdoor activities. We’ve visited a number of times, for skiing in winter and just to enjoy the gorgeous scenery in summer, and we can highly recommend taking between half a day and a day to come visit. 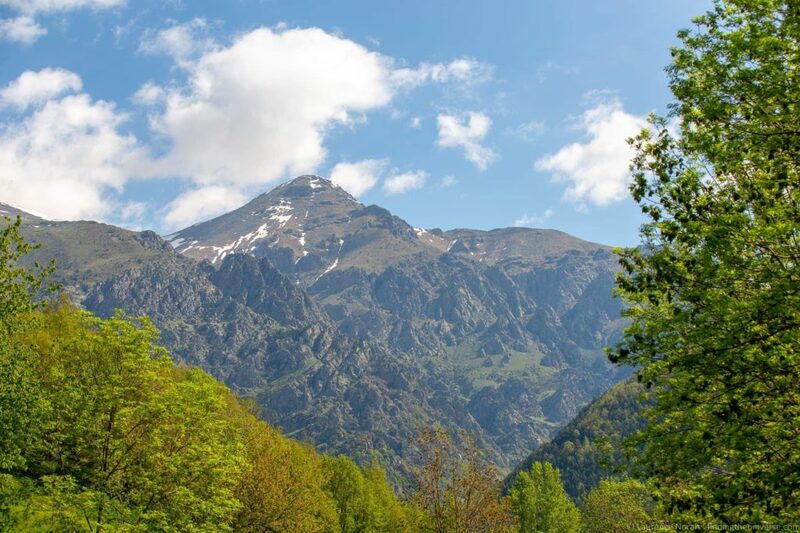 The Vall de Núria can be reached either on foot or by rack-railway from the towns of Ribes de Freser or Queralbs. There’s no vehicle access. A popular option is to take the train up, parking in one of the towns, and then hiking back down, although of course you can take the train both ways. This is quite a unique experience, as the train goes up quite a steep incline, and the views along the route are really incredible. In the valley itself, the train stops at the main mountain resort building, which is a multi-purpose facility offering everything from restaurants to equipment hire to accommodation. In winter, this is the main hub for skiing and other winter outdoor activities, including snowshoeing. In the summer, you can hire boats to paddle around the reservoir or head off on one of the hiking paths. There are a number of sights in the valley of interest, many of which that have been attracting pilgrims for centuries. The Virgin of Núria is one of the main highlights, a 12th century Romanesque statue of the Virgin Mary which can be found at the shrine of Núria. She is the patron saint of the Pyrenees, and is said to have the gift of fertility – with many couples making the journey up to the shrine! This shrine is found in the Hermitage of Saint Giles, a 17th century chapel that is about a five minute walk from the main complex. This is also on the walking route out of the valley. There are also a number of viewpoints around the valley that are good to walk to – in particular, at the south end of the valley is the “Mirador de la Vall de Núria”, which offers excellent views of the railway coming up into the valley as well as of the valley itself. For more on visiting Núria, see our guide to visiting the Vall de Núria. Camprodon is a beautiful little town in the Camprodon Valley, dating from the 12th century. It’s home to a stunning medieval bridge, which spans the river here, as well as a Romanesque monastery and a museum about Isaac Albéniz, the first Catalan musician to make it on the international music stage. There are also no less than fifteen fountains found throughout the town, picturesque medieval streets, a church which houses a collection of religious gold and silver work (Santa Maria Church), and an avenue which plays host to a series of wonderful early 20th century summer mansions. Also lots of shops and restaurants here. Camprodon is an excellent base from which to explore the Camprodon Valley, which is a good spot for walking, with many routes throughout. It’s also a good place to follow the Romanesque Route, a driving trail that passes through the valley and includes some of Catalonia’s most important Romanesque structures. The village of Dòrria clings precariously to the side of the valley, and has almost been forgotten by time – when we visited there were only five inhabitants left in the village. Once a popular stop on the main road between France and Spain, modern roads have since passed this spot by, meaning that a visit here truly feels like stepping back in time. This is especially the case if you go inside the church here, Sant Víctor de Dòrria. There’s a history of a church being consecrated here in 903, although the nave of the building is Romanesque and dates from the 12th century. It was here during restoration in the late 20th century that a remarkable discovery was made. Hidden under five layers of plaster and lime, original Romanesque murals dating from the 12th century were discovered, and after a great deal of careful work and restoration, much of these can now be seen today. 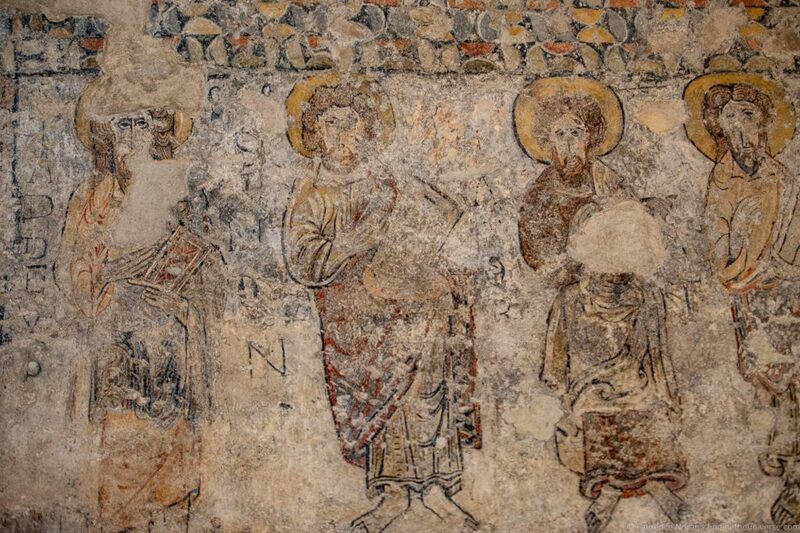 They are considered on of the most important Romanesque finds in recent years in Catalonia. 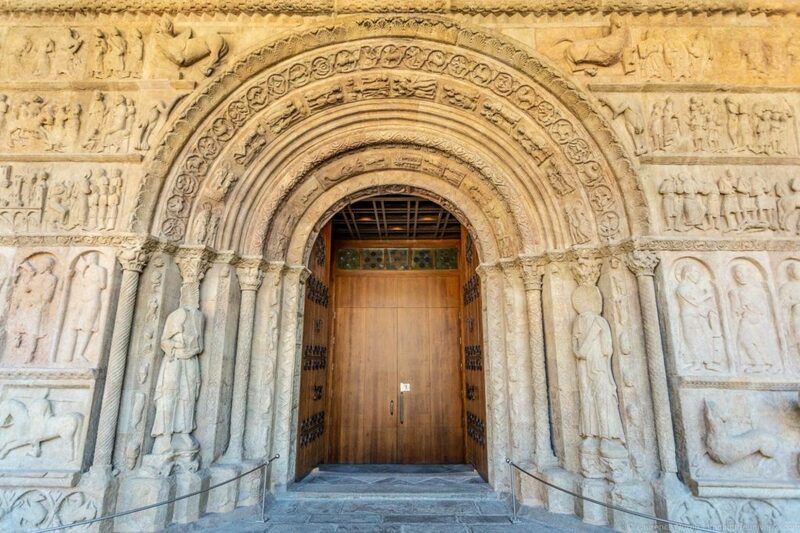 Obviously, centuries of neglect has taken their toll, but these are an absolute treasure, and definitely worth visiting for those of you with an interest in original Romanesque art. The church is kept locked, so to visit you will need to arrange a guided visit ahead of time. We arranged a guided visit through the tourism office in Ribes de Freser, which is around a 40 minute drive away. But you can also call or email them to see what dates and times are available and fee for visiting. It’s also worth mentioning that there are a great many Romanesque churches dotted all across this area, and seeking these out can make for a fun activity. They are especially concentrated in the small villages of Vall de Ribes and Vall de Camprodon. Speaking of Ribes de Freser, there is a lot more to do here than arrange visits to churches or take the rack railway to the Vall de Núria. This town is well worth spending some time exploring, and is also a good base for exploring the surrounding Ribes Valley. Highlights in the town include the remains of Ribes Castle, a number of Romanesque churches, 20th century architecture, and beautiful old streets. It’s definitely worth popping in to the tourist office here as you can pick up a map which outlines all the major highlights in the town so you can wander around and see them all. 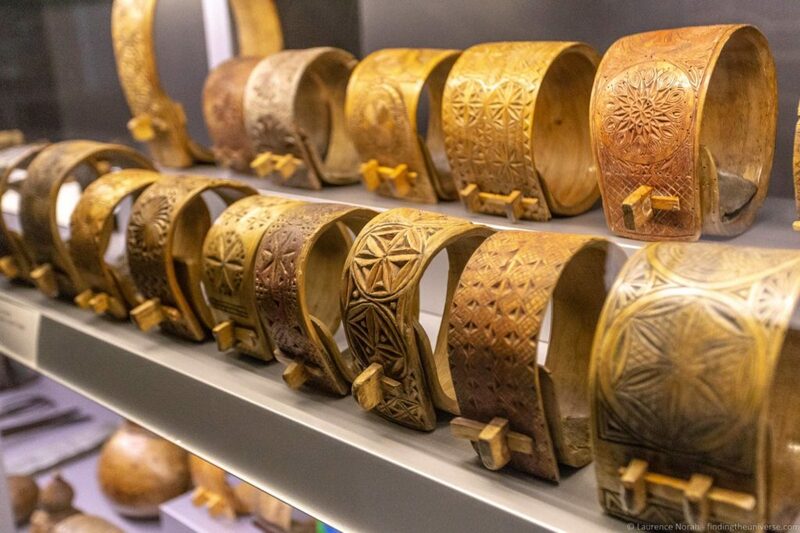 There are also two museums located here, the Museu del Cremallera, which covers the history of the Rack Railway, and the Joan Triadú Cultural Centre. The latter is found in the Terra Baixa library, and focuses on the life of Joan Triadú, a local writer and political activist. Found throughout the hills and valleys of this whole region are “Cabanyes de Pastor”, old stone shepherd’s huts which were used a places of shelter, refuge, and rest by the shepherds here when they were tending to their flocks of sheep. 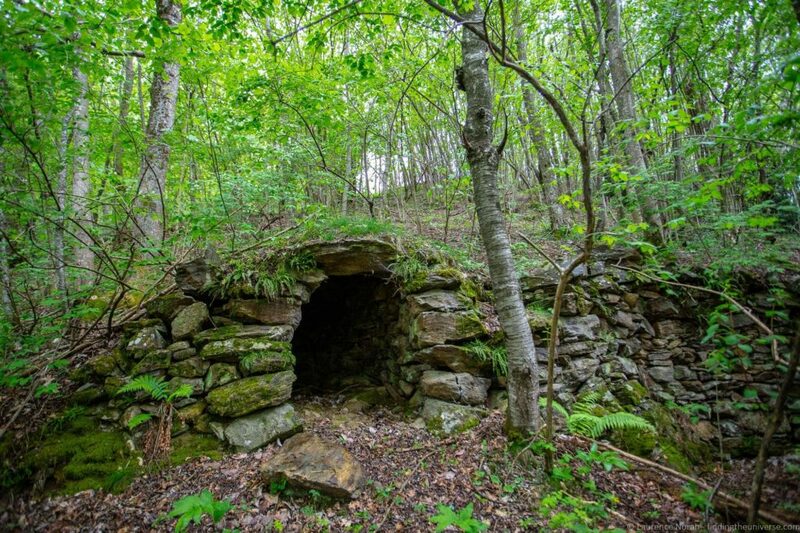 Many of these have survived today, and are hundreds of years old, and taking a walk to discover these old structures is a wonderful way to discover some of the countryside in the area. We did just that, setting off from Roca de Pelencà, near Llanars with a local guide, as well as with local photographer Raul who runs Phototrekking, a tour guiding service of the region with a focus on trekking and photography. There’s also a walking trail known as La Ruta de les Cabanyes de Pastor starting in Vilallonga de Ter. We had a wonderful time discovering the shepherds huts, many of which are being looked after by the local community. If you want to do something similar, we can recommend contacting Raul for a guided hiking tour, following the Ruta de les Cabanyes de Pastor, or using the Pedra Seca app, which put stone structures from throughout Catalonia all on a map on your device for easy location. Please just note that many of these huts are on private property or farmland, so do be respectful when you visit. There are a lot of wonderful festivals and events that happen throughout the region, all through the year. We happened to be lucky enough to be in Ripoll for the annual Wool and marriage festival (La Festa de la Llana i Casament a Pagès), so that’s what I’m going to share as an example of what to expect. And if you get the chance, we can definitely recommend this particular festival! This festival, as the name suggests, focuses on wool, which was for centuries one of the most important products of the region. It’s still important today, and the skills of everyone involved in wool production, from looking after the sheep through to turning it into a finished wearable product, is celebrated in the wool festival. The El Ripolles region is still known for its high quality lamb. A highlight is definitely the sheep shearing contest, which measures skill and time, with someone crowed best shearer at the end of the contest. At the same time as the wool festival is the annual marriage ceremony. In this, a couple from the town take part in a hugely traditional marriage ceremony (yes, they actually get married), which involves parades, dancing, and all sorts of fun events. A highlight of this festival are Els Gegants, a traditional form of entertainment which involves large figures, often representing notable townspeople, being paraded through the streets and even dancing. Some of these figures are up to four metres in height, so they make quite the spectacle – not to mention a good workout for the person inside them! They are also usually accompanied by “big heads”, which are people wearing large head masks, as well as traditional musicians. These festivals take place around each other at the same time every June, and if you can time your visit to be in town when they happen, we can definitely recommend the experience. 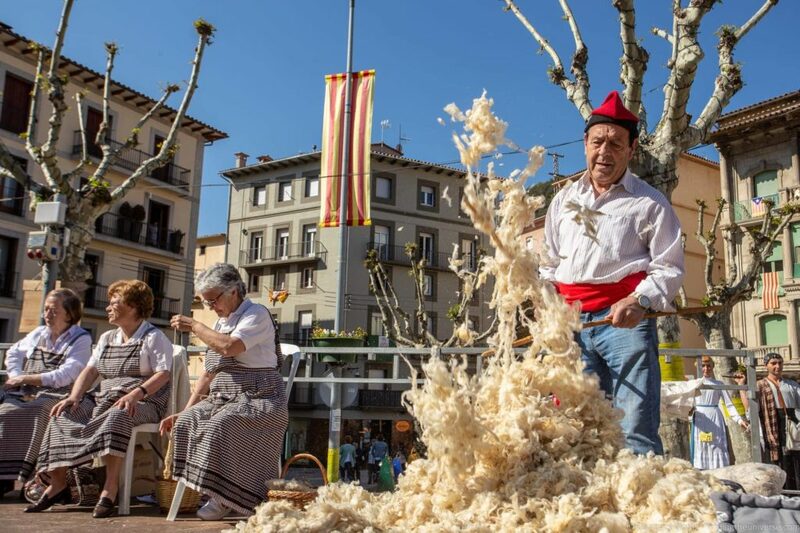 Of course, there are many more festivals in the region, including the Festival of Sant Patllari in Camprodon, the Festa Major de Queralbs, the Festival de Música de la Vall de Camprodon, and the Catalan Sheepdog Trials in Ribes de Freser. You can see information on all these festivals and more at this event listing page. 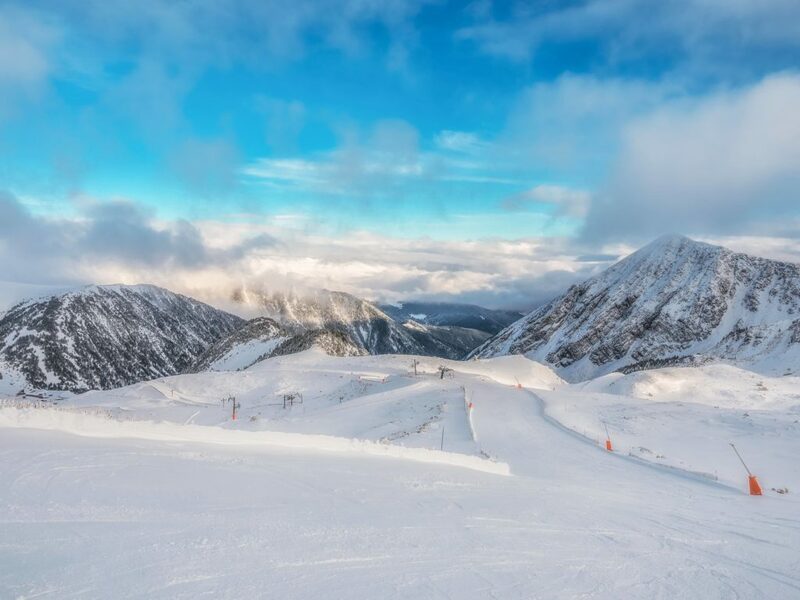 With the Pyrenees mountain range towering over the region, naturally, a visit to El Ripolles in winter can involve some skiing, snowboarding, or other winter activity fun. There are a couple of ski resorts in the area, the Vall de Nuria and Vallter 2000. These both offer a wide selection of runs, ranging from beginner to more advanced slopes, with ski and snowboard equipment for hire. Note that Vallter 2000 has no on-site accommodation, with the nearby town of Setcases being a popular place to stay. For more on skiing in this area, see our detailed guide to skiing in the Spanish Pyrenees, which has lots of information on skiing within the province of Girona. We also have a guide to what to do on skiing holiday if you don’t ski! One of the highlights of this region is of course the natural scenery, and one of the most spectacular drives that we took in this area was the mountain road that runs from Camprodon, to the town of Beget, and then on to Montagut i Oix and Castelfollit de Roca in the La Garrotxa region. Beget is definitely a highlight of the route, a tucked away medieval town with a beautiful church, old bridge, and wonderful old cobbled streets. Up until the 1960’s, there wasn’t even a road for motor vehicle access, meaning this village was very much cut-off from the rest of the world! The church (Sant Cristòfol), is a wonderful example of 12th century Romanesque architecture, and sits elegantly in the town square, surrounded by old stone houses. Inside it has a barrel-vaulted nave and two notable artworks, a 2.7 metre high wooden carving of Christ, as well as a 14th century Gothic alabaster altarpiece of Our Lady of Beget. The church is remarkably well preserved and largely original, and has been listed as a national monument since 1931. 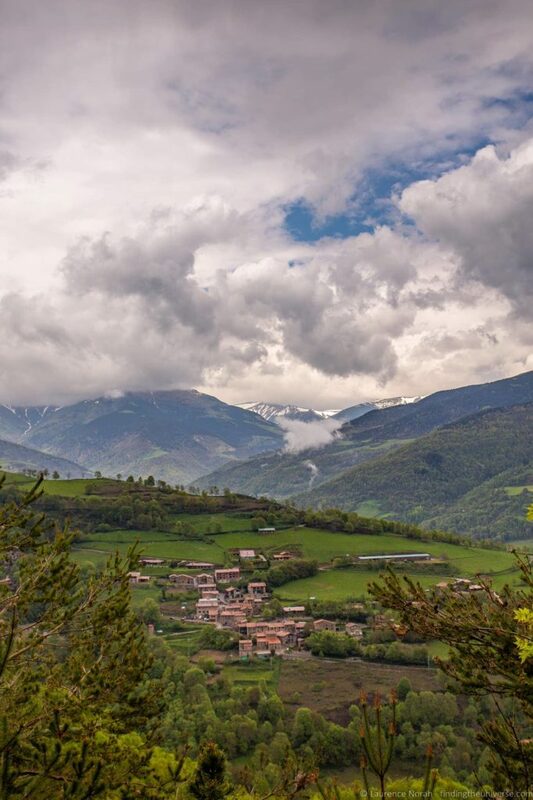 The church is usually locked outside of events and services, so if you want to arrange access to the interior you should contact the Vall de Camprodon tourism office in Camprodon before visiting. Found high up in the hills above the Vall de Gombrèn is the Montgrony Sanctuary. You’ll either need a car to get up here, or be prepared for a steep hike from the nearest town, which is Gombrèn. Whichever way you reach the Sanctuary though, we’re sure you’ll be pleased you made the decision to come up here. 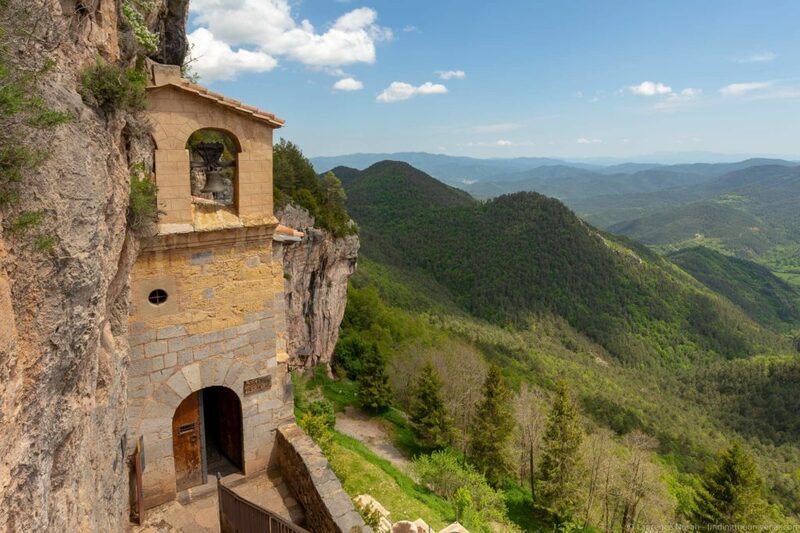 As well as offering fantastic views across the valley and a cafe, you can also visit the Chapel of Our Lady of Montgrony, which is literally built right into the cliffside. The chapel is a place of pilgrimage, as the Virgin of Montgrony is believed to be responsible for various miracles. A further ten minute walk up the hill here brings you to the 12th century Romanesque church of Sant Pere. This is usually locked, however you can ask in the cafe for the key. Inside, you’ll find a number of paintings, believed to feature the count who commissioned the chapel, and is said to haunt it as punishment for not paying the construction bills! I appreciate that in this post we have already gone over a number of lovely old medieval towns, but we definitely don’t want to give you the impression that this is all the area has to offer – far from it! There are so many gorgeous little villages and towns to explore here. Some to add to your shortlist in the Vall de Ribes area include Queralbs, Pardines, Planoles, Tosses and Dòrria. In the Camprodon area, look up Setcases, La Roca, and Llanars. One of the joys of this area is just getting out and making discoveries, and we’re sure you’re not going to have a problem doing that! To help you with visualising where the El Ripollès region is, we’ve highlighted it in the map below. So hopefully that list gives you some idea of the wealth of things to do in the Ripollès region! Now you might be wondering how best to get here and get around. For all of our trips in the region we’ve travelled by car, picking up a rental in Barcelona or Girona (check prices and book yours here) and then using it to explore. We usually find that this gives us the most flexibility in terms of planning our activities and seeing what we want to see, particularly as many of the attractions such as the Romanesque churches are a little bit out of the way and would be challenging to access with public transport. There is public transport to and from the region, as well as for getting around the major towns and villages though. From Barcelona, you can get a train to towns including Ribes de Freser and Ripoll, on a direct line (the R3 route). The service is operated by Spanish train operator Renfe. It’s also possible to get a bus to the area, with regional bus operator Teisa, and if you are coming from Girona or Figueres to the area, bus is going to be your best option, and there’s no direct train service (you would have to travel via Barcelona). Once in the region, you can get around by local bus to many of the towns and villages. 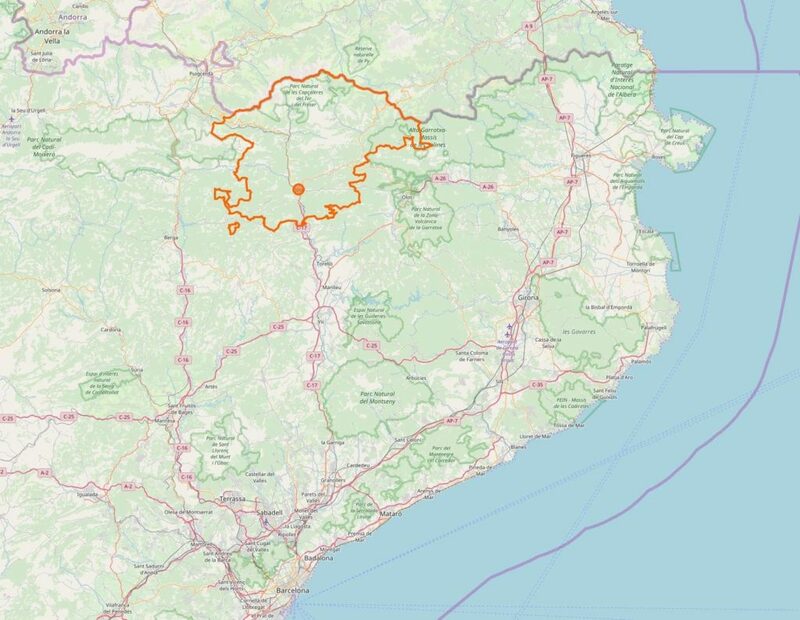 You can see some of the options and timetables on the Ripoll region website, although it’s in Catalan so you’ll need to use Google Translate if you don’t speak Catalan. An easier option would likely be to drop into a tourist information office in the region, who will be able to give you specific advice on getting to where you want to do. Lastly, this region is popular with cyclists, and touring the area on a cycling holiday is another popular option. It is, as you would imagine, quite hilly though, so you will want to be prepared for that. If this is of interest, there are a number of cycling based tours here you can check out. We can definitely recommend spending a few days in the El Ripollès region, basing yourself in one or two of the towns in the area and exploring from there. During our time in the area we stayed in a number of locations. In Ripoll, we stayed at La Trobada Hotel, which was a five minute walk from the town center and monastery. Accommodation was simple but had everything we needed, and the family who ran the property were really friendly. Our evening meal here was particular special, sampling many of the food highlights of the region. In Sant Joan de les Abadesses we stayed at the Hotelet de Sant Joan. This was recently opened and modern property, right in the centre of town, a two minute walk from the monastery. We very much enjoyed our stay here, and in particular the breakfast! 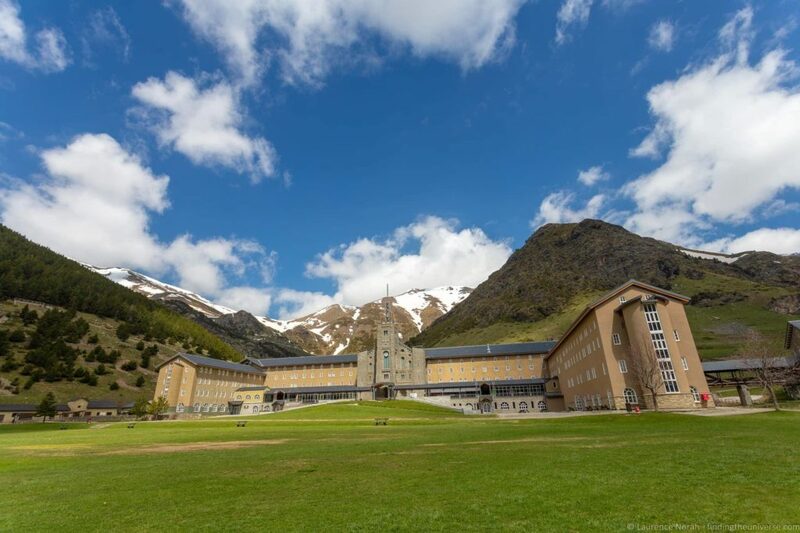 On previous trips to El Ripollès we also stayed at the Vall de Núria Hotel, which has a wonderful location in the actual valley itself. 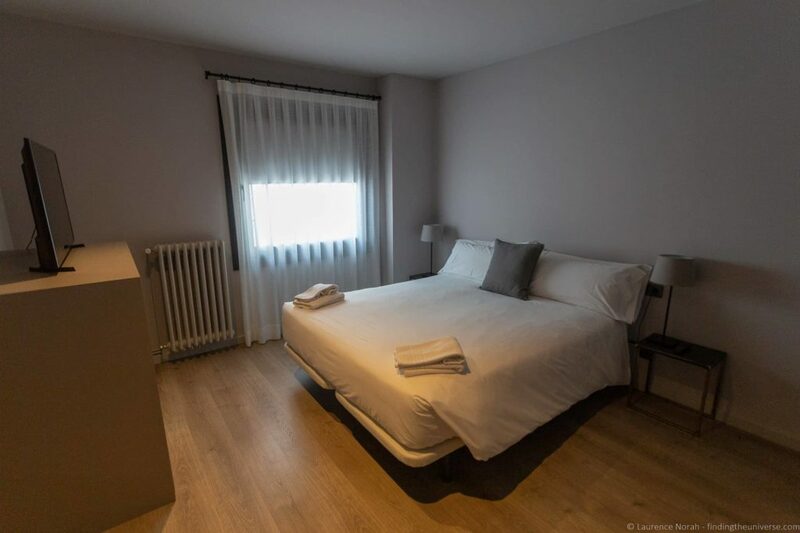 We also stayed at the Hotel Rural-Spa Resguard Dels Vents in Ribes de Freser, which makes a good base for exploring the Nuria Valley and for skiing. Jess particularly appreciated taking advantage of the spa facilities while I went skiing! Of course, there are more options in both these towns, and the other towns in El Ripollès. 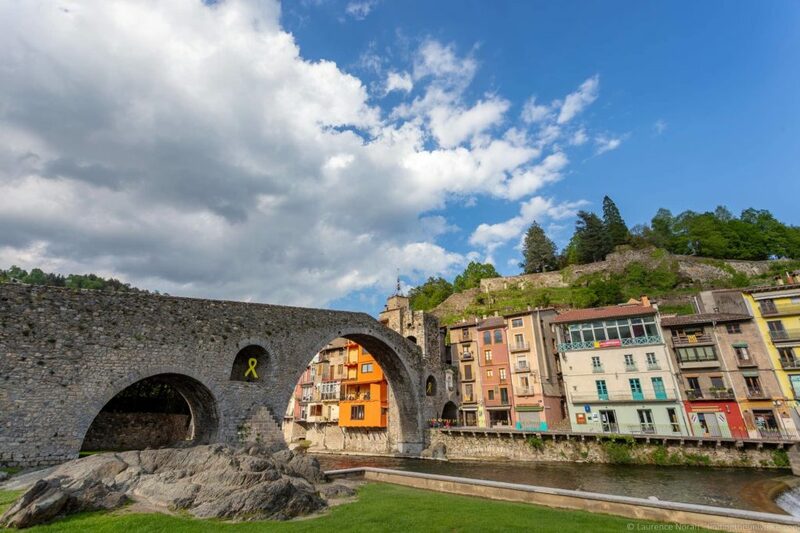 Towns that we suggest you check out to serve as a base (click each town name for a list of hotel options) would be Ripoll, Sant Joan de les Abadesses, Camprodon, Ribes de Freser and Campdevànol. You can also see all the hotels in the El Ripollès region here. Whilst our suggestion is to try and spend a few days in Ripollès if you can, we appreciate that this won’t be possible for everyone. It is possible to visit this region as a day trip, either from Barcelona or Girona (or other towns in the region). If you choose to do this, our suggestion is to focus on some of the highlights, perhaps spending a half day at the Vall de Nuria, followed by some time exploring Queralbs, Ribes de Freser and Ripoll. This sort of trip would be achievable by train from Barcelona, as the R3 train line runs directly from Barcelona to Ribes de Freser via Ripoll. 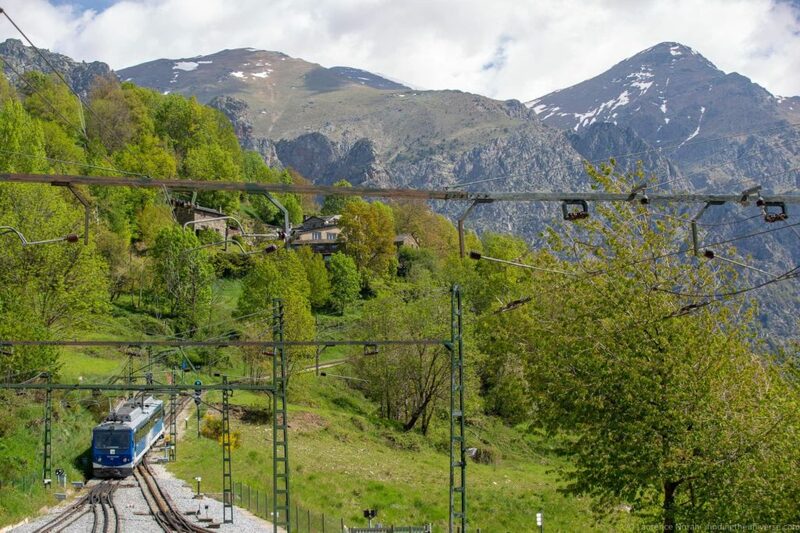 In Ribes you can then catch the rack railway up to the Vall du Nuria, making for an excellent day out. In the winter, those interested in skiing or snowboarding can take the train or bus and then get the rack railway to Nuria. If you have a car, then you have a lot more flexibility in what you can achieve. 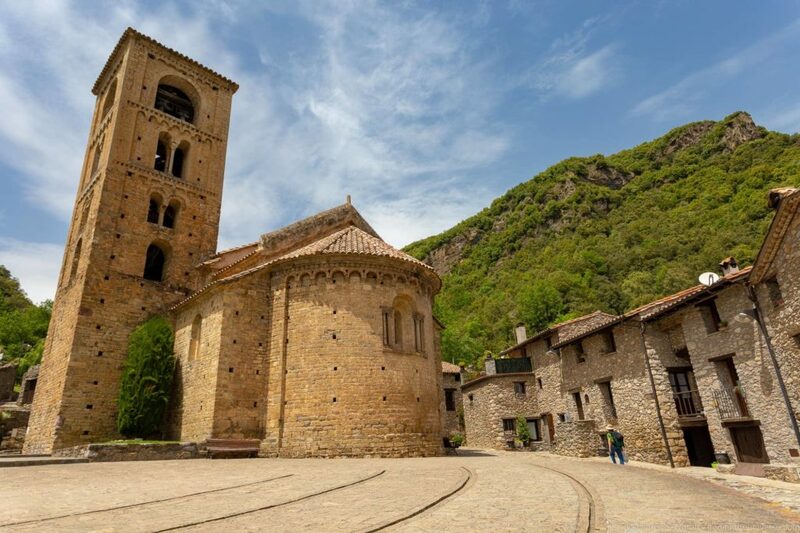 We’d suggest trying to visit Ripoll, Sant Joan de les Abadesses, Camprodon and Beget, which will enable you to see some of the best that the region has to offer, from Romanesque churches to gorgeous scenery. Hopefully that gives you an idea of what’s available for visiting this region, either on your own, or as part of a guided tour. This guide to what to do in El Ripollès is just one of many we’ve put together on visiting Catalonia, a region we have returned to many times at different times of year. Here are some of our other guides to help you plan your visit. And that’s it for our guide to the El Ripollès region! We hope you found it useful. As always, if you have any questions or feedback, do let us know in the comments below! Disclosure: The majority of our lodging, attraction entrances, transportation and activities in El Ripollès were covered by the Patronat de Turisme Costa Brava Girona in order to experience and write about this region. As always, this article contains only our own honest thoughts and opinions. You can read more in our Ethics Code about how we accept work.